Diane Morgan is hooked on salmon and it shows. From the deck of a commercial fishing boat in Alaska to the fish farms in Scotland, she has traveled the world on a quest to find out everything there is to know about the world's favorite fresh fish. Learn the difference between wild and farmed salmon, discern among the varieties of species, whether Atlantic, Chinook, Coho, or Sockeye, and discover the heart-healthy benefits of including salmon in the diet. The real catch are the recipes. Salmon Hash, Thai Coconut Soup, Salmon Tacos, and a dramatic yet simple whole roasted version show the incredible versatility of salmonit's perfect morning, noon, and night. It pairs well with an international array of flavors and can be poached, smoked, baked, or grilled. With tips for storing, preparing, filleting, cutting steaks, taking out pin bones, plus gorgeous scenic photographs of famed fishing areas, Salmon is sure to make a big splash in the kitchen. Learn the difference between wild and farmed salmon, discern among the varieties of species, whether Atlantic, Chinok, Coho or Sockeye, and discover the heart-healthy benefits of including salmon in your diet. 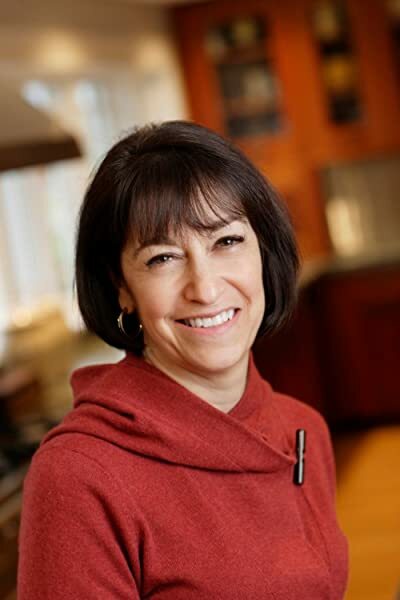 Diane Morgan is an experienced cooking teacher and the author of many cookbooks, including Delicious Dips (0-8118-4220-7), Dressed to Grill (0-8118-3139-6), and The Thanksgiving Table (0-8118-2991-X). She lives in Portland, Oregon. E. J. Armstrong's photography has appeared in a number of cookbooks, including The Perfect Match (0-8118-2918-9) and Nordstrom: Friends and Family Cookbook. She lives in Seattle, Washington. John Ash is a notable chef and food writer. He is the author of the IACP-winning From the Earth to the Table. As the wife of a fishing finatic living in Seattle, we have plenty of salmon in our freezer year round. I initially requested this book from our local library and was simply astounded by the quality of the recipes in this book. The Asian Salmon Burgers were unbelievable. I made extra of these burgers for my son at college and he called to say, "Make more, please." I have also tried the Blackening spice on fresh Silver Salmon and found it extremely tasty. I served it with a big salad. I am anxious to try more of the recipes and can't say enough good things about this book. Thank you, Diane Morgan, for this great book! 5.0 out of 5 starsGorgeous book meticulously researched! Once again, Diane Morgan delivers a subject-focused book that goes far beyond the reach of a typical cookbook. "Salmon" is both beautiful and engaging, with extraordinary photography and a comprehensive narrative that provides much-needed clarity on the subject. I typically avoid single-subject food/cookbooks because I often find them too limiting. Instead, "Salmon" explores the world of this prized fish in a compelling way. And the recipes are inspiring, too! This is a perfect gift for fishermen, fish lovers and cooks of all abilities. 5.0 out of 5 starsAnother Diane Morgan success. Love it. It sits alongside our James McNair salmon cookbook, and is fully its equal. In addition to the great recipes, we have learned a few new techniques. 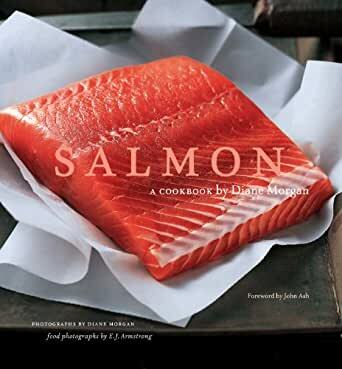 `Salmon, A Cookbook by Diane Morgan' with a Foreword by distinguished culinary teacher and author, John Ash is a very nice little book, being one of my favorite types of cookbooks devoted to a single, interesting subject. Two things make one wonder why, aside from a strong interest in the subject, did the author and publisher take the time and energy to create this book. The first and foremost reason is that there is already a less expensive book on the market on exactly the same subject by very highly regarded culinary writer and teacher, James Peterson. I will concede that there is more than enough room for both books if there is little overlap between the two. I will investigate this in a bit. The second reason is that several things early in the book seem to be done in a less than totally thoughtful manner. The book opens with great anecdotes about travels around the world to major salmon fishing and farming venues, but aside from the mildly titillating travelogue value, it is hard to see how any of this has contributed to the value of the book. These tales are accompanied by smallish, unlabelled snapshots done by the author. Some of the pictures could have been taken in Alaska, Oregon, Scotland, or Norway. The oversights include no labels on very nice pics of whole and filleted salmon, plus long, careful descriptions with scientific names and everything on the various salmon species, but NO PICTURES! Then, we get a text for how to clean and gut a salmon, with NO PICTURES! When the book gets to descriptions on how to scale, de-gill, and fillet, there are some smallish line drawings which are better than nothing. In all fairness, I will concede that Peterson has few illustrations for these techniques as well, but Morgan does little to redress this omission. The very best illustrations for some of these techniques are in Peterson's book `Essentials of Cooking'. On the latest issues of salmon farming, wild fishing, and health, Ms. Morgan's book is a bit more up-to-date than is Peterson's, as his was published in 2001, before all the scoops on farmed fish contamination came out. Overall, on basics I believe the two authors tie, with a small edge to Ms. Morgan for giving us a technique for skin-drying salmon. Appetizers - Ten recipes, including tartare, gravlax, grilled salmon sandwiches, and dips. Soups - Eight recipes with chowders, gazpacho, Thai Coconut, corn stews, and salmon stock. Pasta, Pizza, Risotto, and Sandwiches - Eleven recipes with tacos, burgers, and poorboys. Main-Course Salads - Ten recipes with lentils; spinach; fennel; asparagus; noodles; corn; rice; endive and bacon; and Salade Nicoise. Main Courses - Sixteen recipes for roasting, poaching broiling, grilling, and cedar planking. Brunch and Lunch - Nine recipes for salmon on bagels, blintzes, omelets, frittatas, tartlets, poached eggs, potpies, and quiche. I find this organization just a little confusing as there is so much overlap between categories as with the Appetizers and Brunch and Lunch chapters, yet unlike things are bundled together as with pasta and sandwiches. Wouldn't most sandwiches also be appropriate for lunch? In contrast, Peterson gives us recipes by cooking method, which I find much more satisfying, especially when you are unsure of the quality and variety of salmon you will find at your fishmonger's counter. Fish that may not be the very best for a raw recipe may be quite all right for poaching or broiling. One of the most important aspects of this difference is the fact that while Morgan gives us sixteen recipes for smoked salmon, Peterson actually tells us how to smoke salmon with both hot and cold smoking methods. Even Alton Brown hasn't gotten to that subject yet. Basically, Ms. Morgan gives us a very nice collection of Salmon recipes, but she neglects to cover several of the most basic salmon cooking techniques. For example, Peterson has a whole chapter on poaching salmon, including the method for poaching a whole fish. I Looked in Morgan's index and could not even find an entry for poaching. As I just saw a poaching recipe in `Main Dishes', I checked back to find the `Riesling-Poached Salmon' recipe. This is a fine method for a few fillets, but it may be wise to also have a recipe for those who are alcohol intolerant, especially as poaching is such a healthy method for cooking and such an easy one for large groups of people. Even if you don't have a whole fish-poaching pan, the whole court bouillon method is a good one to master for salmon and other fish. Ms. Morgan does also include very good wine recommendations for each dish. How can I not have some respect for a book that recommends Austrian gruner veltliner (fresh, green) wine to go with salmon tartare! All in all, Peterson's book does a much better job of covering the full range of salmon cookery, but Morgan's book may have just a few more recipes for everyday use. If price is no object, get both. If you want a text that touches all bases, get Peterson's book. If you just happen to like salmon, raw and cooked, get Morgan's book, plus Peterson's `Essentials of Cooking' for the full scoop on how to handle big salmon operations.